CNC Software Inc., developers of Mastercam, is partnering with the National Robotics League as a Diamond-level sponsor. CNC Software will be providing NRL teams with a license of Mastercam for the 2018-2019 school year. The NRL is a combat robotics program from the National Tool & Machining Association. It is designed to engage students in a job-driven, project-based STEM learning experience to close the workforce skills gap and promote pathways to careers in manufacturing. For more, visit http://gonrl.org and www.mastercam.com. CNC Software, developers of Mastercam CAD/CAM software, is partnering with High Schools United with NASA to Create Hardware (HUNCH), an effort to bring high school students new educational experiences with NASA projects. Metro Hardwoods Inc., based in Glendale Heights, Ill., is now a master distributor of the complete line of Milesi wood coatings. 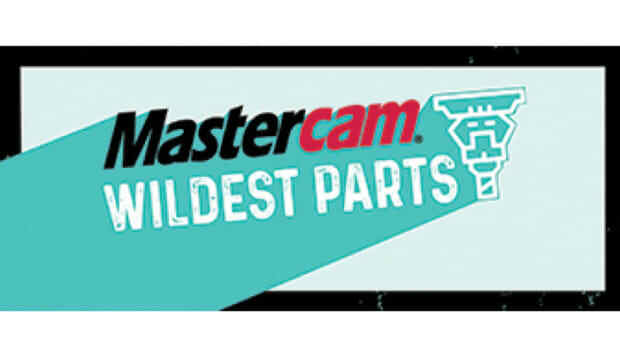 Mastercam’s Wildest Parts competition is open to any current student, team of students, or instructor programming with Mastercam software. Formica Corp., the inventor of laminate, announces an exclusive licensing agreement with Arauco to manufacture and sell Formica brand Thermally Fused Laminate.